Yes the dreaded day has arrived again, at least officially. It is Black Friday, although I think it began at least two weeks ago, at least from the bombardment of advertisements I have had in my e-mail, on Facebook, and one every website I have visited. I also love the secular part of Christmas. Unlike the Grinch who hated everything about Christmas, I love it all, the decorations, the music, even the Who Hash and the Roast Beast. But even more I like the good feelings that people tend to have for each other at this time of year. But all that being said, there are times that the crass materialism and greed shown by retailers to entice people to buy things that they cannot afford bothers me. So does the Christmas and holiday advertising and store displays that show up even before Halloween, it is nuts. I’m sorry but displays of Frankenstein, Dracula, and Freddy Kruger bringing a turkey with all the trimming to the baby Jesus and his family just seem to demean the season. Somehow vast throngs of people running over each, fighting, and sometimes even killing, to get a bargain as barbaric and a sad commentary on who we are as a nation. But there is more, to boost their profits that many major retailers are not just opening early on Friday, they are opening on Thanksgiving, the one day when no-matter what their religion that, that people can come together as family, as friends. The retailers who are doing this mock the very thing that they are using to boost their profits. But the fact is that most retail workers work long and often odd hours throughout the rest of the year, and sacrifice much time away from their families as it is. I wonder how anyone can justify taking that one day away from them. Yesterday we celebrated Thanksgiving with dear friends. We prepared two turkeys, and all kinds of food, including some vegetarian dishes for one of our friends. It was a feast, and a joy as we sat down and fellowshipped with each other. Today we will pretty much hang out at home and continue to work in the house before going to our local version of the Cheers Bar, the Gordon Biersch Brewery Restaurant, and again spend time eating and drinking with friends. I am sure that we will do some shopping at some point, but as much as I love everything about Christmas and the holiday season, I am rather Grinch like when it comes to Black Friday and its intrusion on Thanksgiving. I hope that your Thanksgiving was good and that you did have the opportunity to spend time with those that you love. 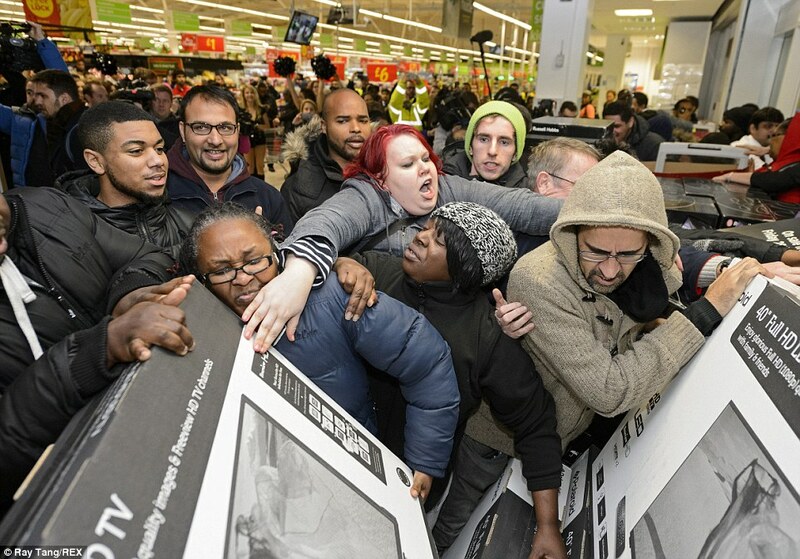 And by the way, when you are out today, please be kind to the lowly store clerks and cashiers who maybe didn’t get the day off yesterday, and who are trying do deal with the feeding frenzy like atmosphere of Black Friday. The at least deserve kindness. Padre, I couldn’t agree with you more about Black Friday. Thanks for expressing your thoughts on all the rampant commercialism. Wishing you the joy of the holiday season! 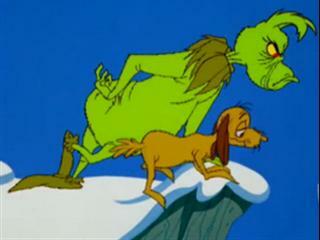 I might be a bigger grinch, maybe.